Fun fact: two years ago on Labor Day I was making tomato pie for a summer dinner party when I went into labor with J; so it seemed only appropriate that I should make it again! 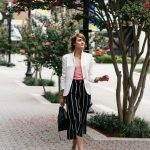 This time I decided to try a mouthwatering recipe I stumbled across in Southern Living. 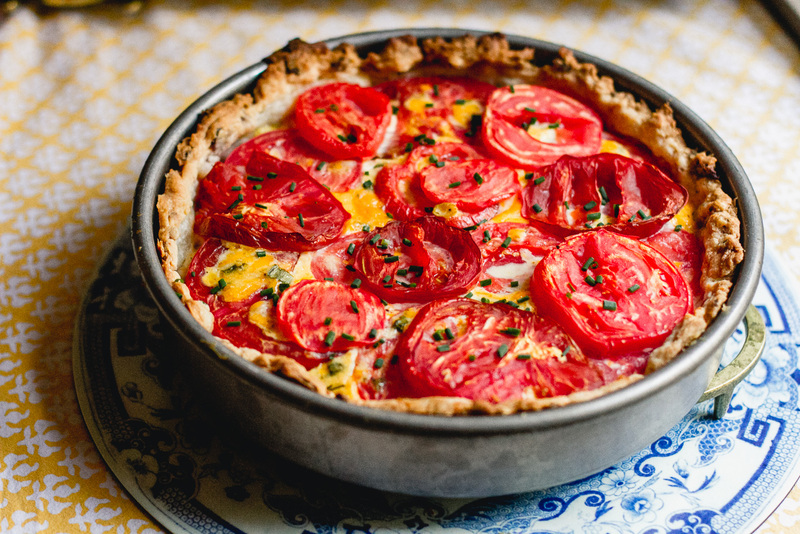 Traditionally tomato pie is very simple: tomatoes, vidalia onions, cheese, mayo, and pie crust. 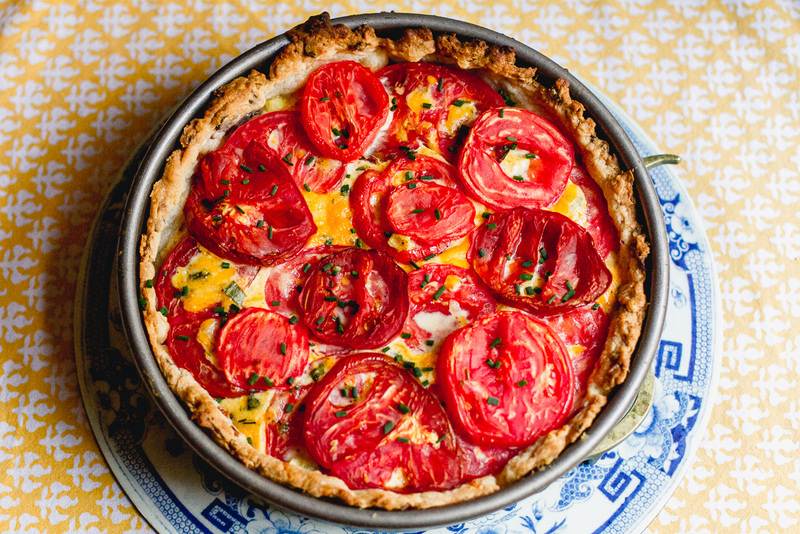 There are so many elements about this recipe that take tomato pie to the next level – the bacon crust, the dill, the hint of cider vinegar. Normally I’m a huge advocate of cutting corners and buying a frozen pie crust, but in this case the homemade crust is everything. And I was pleasantly surprised by how easy it was. Using a food processor for the butter and flour part definitely speeds things up and then you can just stir in the sour cream and bacon in a mixing bowl. Hope you enjoy this recipe as much as we did! To prepare the crust, place flour in bowl of a heavy-duty electric stand mixer or food processor; cut in cold butter with a pastry blender or fork until mixture resembles small peas. Chill 10 minutes. Meanwhile, prepare the filling: Cut 2 lb. 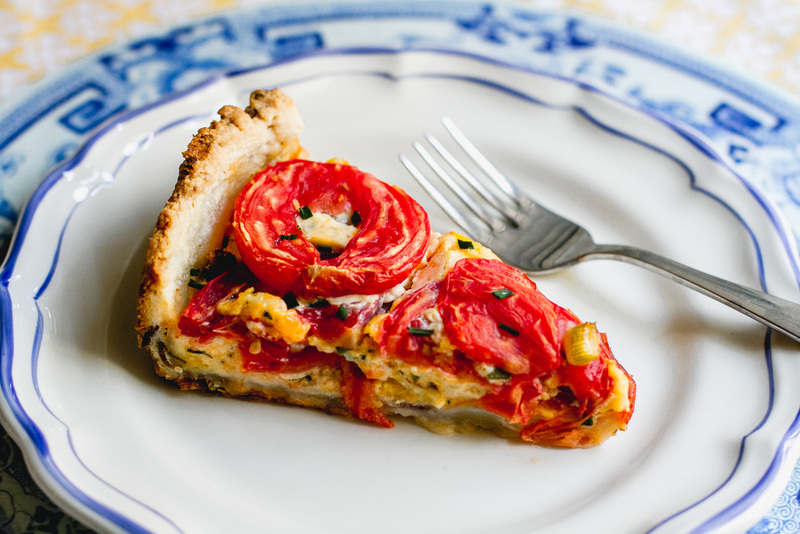 tomatoes into 1/4-inch-thick slices, and remove seeds. Place tomatoes in a single layer on paper towels; sprinkle with 1 tsp. salt. Let stand 30 minutes. I haven’t eaten lunch yet and I’m drooling! This looks amassing!! Uh, this looks absolutely DELICIOUS! Thanks for sharing the recipe. 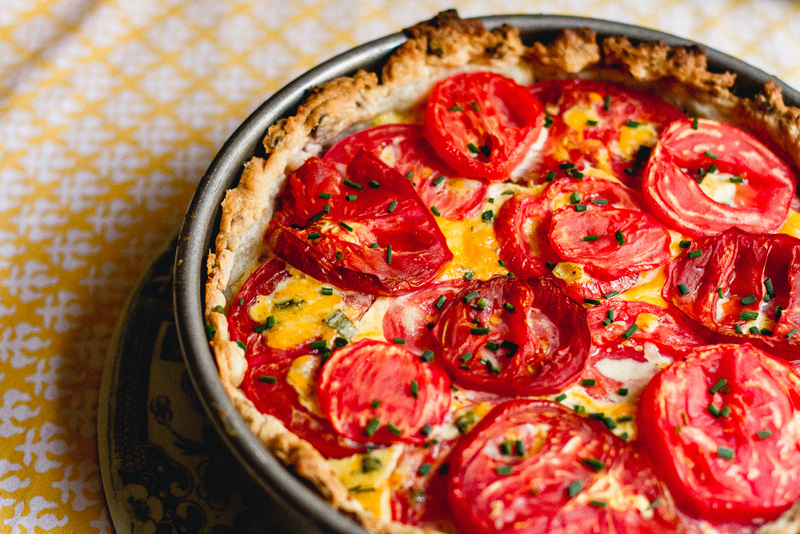 I love tomatoes so this looks super delicious!! Oh my that looks delicious! I definitely need to try this out! Oh gosh! This looks so yumm!